Yes you read that right…..please read on…. 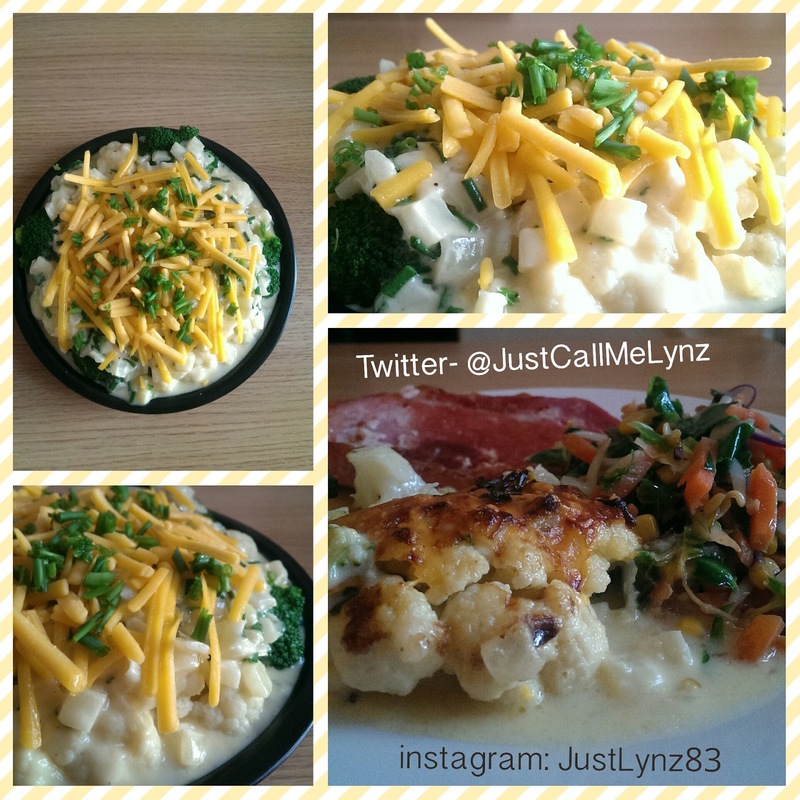 One of my favourite dishes is Cauliflower cheese. But since trying to eat predominantly grain free, I haven’t made it due to having to use flour to make the sauce. This evening whilst wandering round Asda I had a light bulb moment  I thought of a rich creamy ingredient that I could use to make the sauce……but I just wasn’t sure on how the taste would turn out. I was thinking of coconut milk! OMG it did work and has resulted in a super yummy creamy cheesy sauce and believe me no one would know any difference. Here is the recipe, enjoy! Bring 200ml of coconut milk to a simmer (no need to boil it) it just needs to be hot enough to melt the cheese. Just because I was worried about the sauce tasting of coconut and thinking that coconut and cheese would be a bit bleurgh, I sweated some onions to add in and some chopped chives aswell. But I really don’t think they were needed. I poured the sauce over part cooked cauliflower and broccoli, sprinkled with extra cheese and chives and baked in the oven for 30mins.